Last December, when Debbie and I were setting goals for 2015 we agreed that to celebrate her 40th birthday in January, that she should seek maximum ultrarunning adventure for the coming year. After crewing/pacing at the Western States Endurance Run in 2014, she had her heart set on the Grand Slam of Ultrarunning as her target. 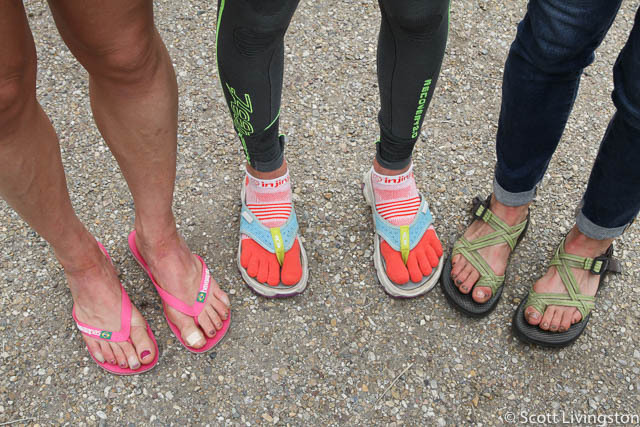 But with the difficult odds of getting into Western States, we had to have a plan B. Her name didn’t come up in the lottery, so that is when we pulled together this trip to Japan built around the visit to a Horst Engineering key customer and a couple of longtime machine tool suppliers. I’m the one who did the initial research on ULTRA-TRAIL Mt. FUJI (UTMF). I enjoy picking target races for Debbie to run. 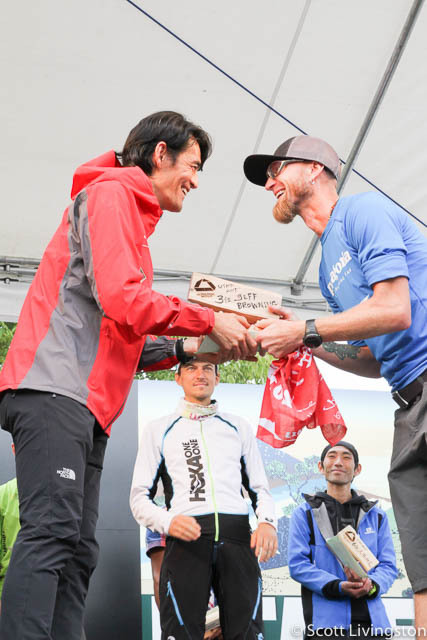 The UTMF proposal was based on the posts of an Instagram friend and the move of the race from early spring to early fall. 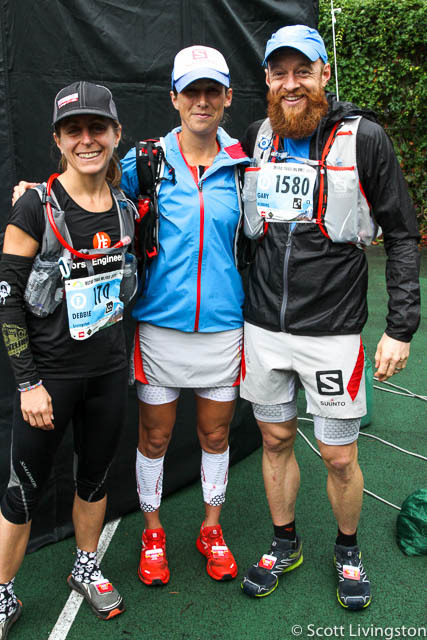 With the Grand Slam out (for now) and UTMF in, she decided to make it a big year and we put together a race program that would allow us to include some adventure travel in conjunction with the events. She gets all the credit for putting in the hard work in with support from Coach Al Lyman at Pursuit Athletic Performance, to prepare for the rigors of her race schedule. A few of their shared goals were to build climbing strength and to remain injury free throughout the year. 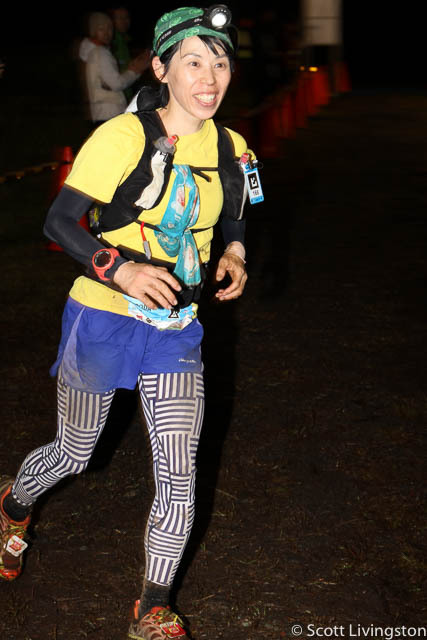 Her schedule leading up to UTMF included four ultras (TARC Spring Thaw 6-Hour Run, Miwok 100K Trail Run, Speedgoat Mountain Races, Emerald Necklace 3-Day Stage Race); plus the Winding Trails Off-Road Summer Triathlon Series, and a bunch of little running races on and off-road. 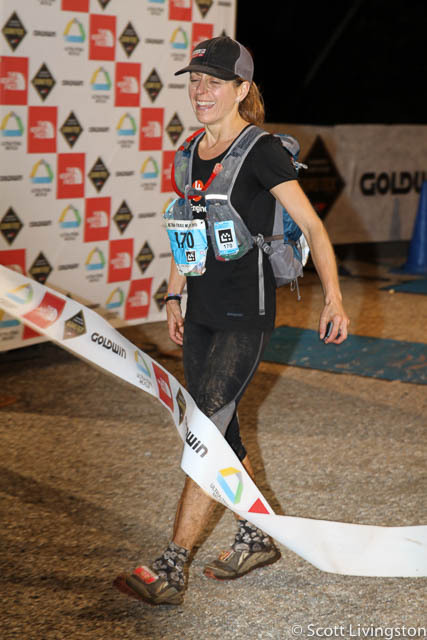 This was her sixth 100+ mile ultra finish, but she has done more than 60 other ultras of varying distances during her 16 year career. 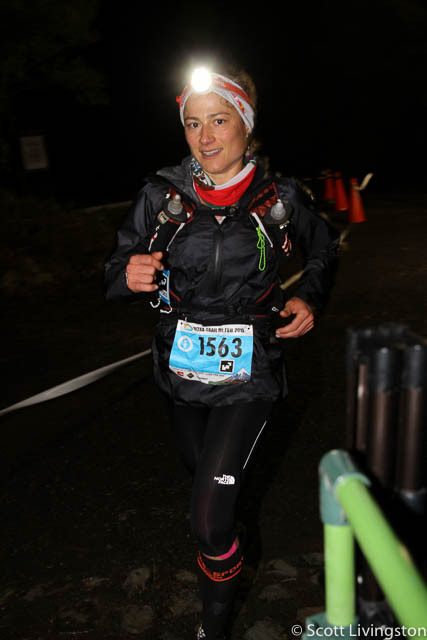 Her prior 100-miler finishes are Javelina Jundred, Grindstone, Vermont 100 Endurance Run, Pinhoti 100, and the Tahoe Rim Trail Endurance Run. 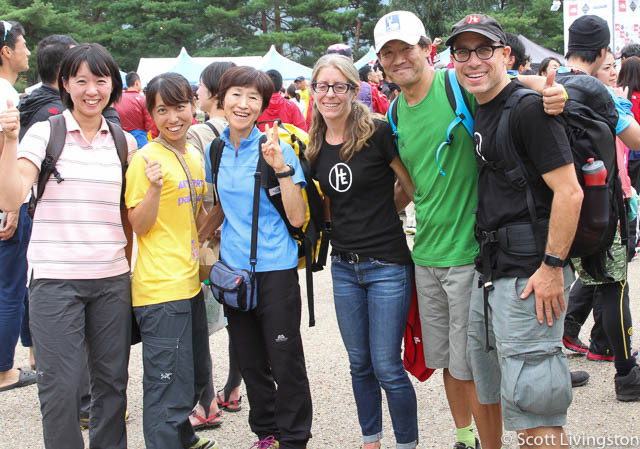 Sadly, this past weekend, we missed the Vermont 50 Mile Ride & Endurance Run for the first time since we met there in 1999, but the opportunity to visit Japan was a big one. We have done this trip without our two children, which bums me out a bit. They have been a key part of Team Livingston for nine years and have been at most of Debbie’s races. When you read this story, imagine throwing two kids in to the mix. It just wouldn’t have worked. Thanks goes out to both of our parents, who stepped up to help make this adventure possible. 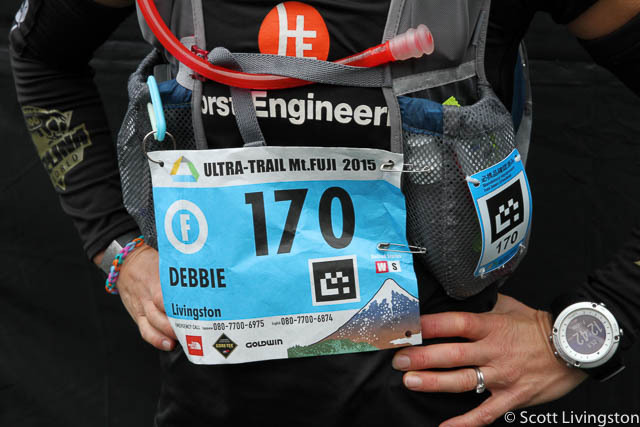 It has been a long season, and it is probably not over yet, but before she thinks about her next race, it is important to review what made UTMF so special. We have been to Asia, but this was our first time in Japan. We knew that doing a race of this magnitude so far from home and in a country with such a different culture, would be extremely challenging, and it lived up to its billing. As a couple, we have a very high adventure threshold, but at moments during this race, I was thinking it may have almost been a bit “too much,” but as things go, in the end, we simply succeeded in raising the bar again. I’m not sure how we top this one, but we sure will try! 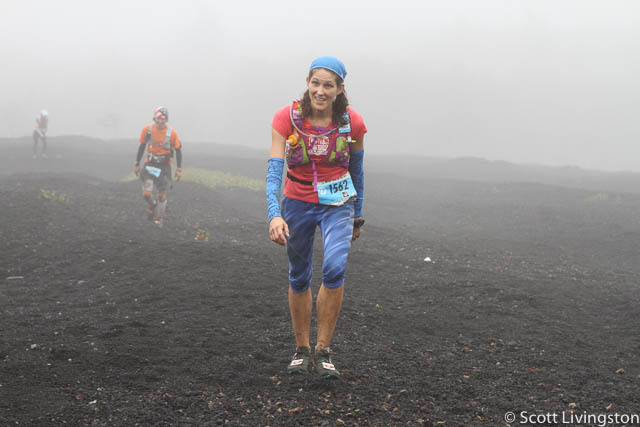 She wrote her own race report focused on the race itself, and you can read that here. The trip started two Friday’s ago with the first challenge. Less than 24 hours before our Boston to Tokyo flight, we got notification that the flight was abruptly canceled with no explanation. A whirlwind of activity followed and we ended up rebooking but first had to fly to Los Angeles to catch a Tokyo bound flight. It messed up our plans and added unnecessary travel time and carbon emissions, but the alternative was not getting a flight out of Boston until Sunday and losing two days at the start of the trip. So, we got up at 1:30 A.M. EDT on Friday to drive to Boston and catch our six-hour flight to L.A. and then took the 13 hour flight to Tokyo after a five-hour layover. We spent a day and a half in Tokyo and then on Monday, traveled to Osaka via Shinkansen train to visited our customer in nearby Amagasaki. Tuesday, we went to Nagoya via Shinkansen and visited our supplier in nearby Oguchi. Wednesday, we traveled from Nagoya to Mishima via Shinkansen, rented a car, and drove to Kawaguchiko for UTMF. We stayed at a very nice hotel right on the lake. 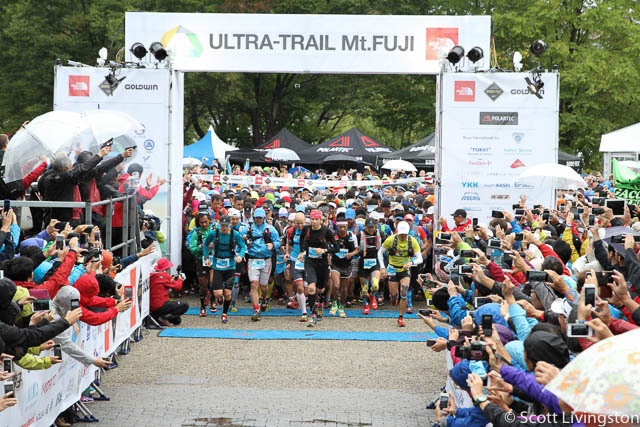 UTMF is part of the Ultra Trail World Tour, and is known as a really tough race with top international competition. The race has an iconic course, with its circumnavigation of Mt. Fuji, an iconic world heritage site. The race had an extraordinary drop rate. Here, they refer to attrition in English as a “retirement.” You want to stay out of that tent if you can! Debbie said, “You had to be one tough cookie to finish.” I believe her! 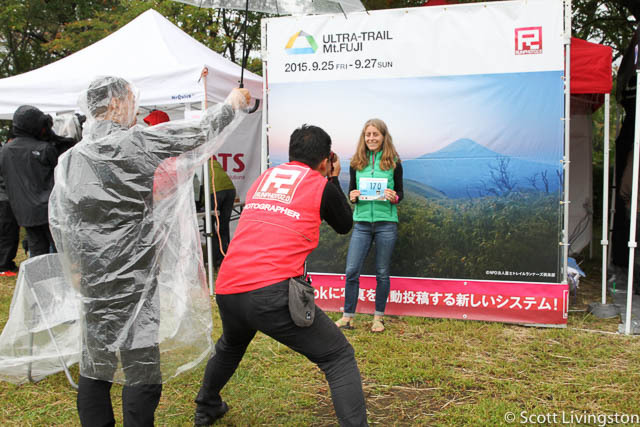 It all started on Thursday afternoon with race check-in at the start/finish at Yagisaki Park next to the lake. A large race expo was set-up with many sponsors and other gear suppliers. At check-in there was a mandatory gear inspection. You had to bring your pack with everything prepared for race day. UTMF has very strict rules for runners, supporters, and spectators. This link lists them, including all the required gear. I saw witnessed the impact of not following the rules to the letter of the law. Debbie’s pre-race gear check went well, she picked up her big numbers, and we explored the expo. Throughout the weekend, we met new friends and caught up with old friends. The race started at 1:00 P.M. (Japan time) on Friday afternoon. Progress was made easier to follow by the live tracking website, which worked very well. I’ve been to ultras with live tracking where it worked and I’ve been to ultras where it failed. 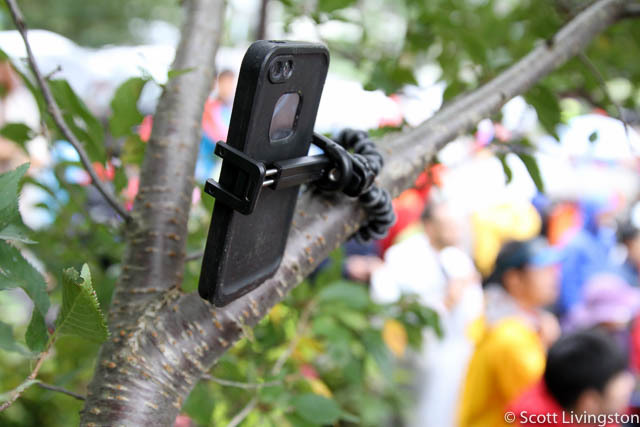 UTMF’s system was easy to navigate and worked fine. I was forced to refresh frequently (on both my iPhone and my MacBook), and I constantly had to search my favorites (it didn’t remember them properly), but it was still a handy tool to plan my crewing responsibilities, while helping friends and family home in the USA follow her progress. Debbie and I met up with our friend Aliza Lapierre from Vermont. She and Aliza were the only two New Englanders. Aliza was supported by her step father, Jeff Comstock. “Supporter” is the term the Japanese use to describe members of a runner’s crew. 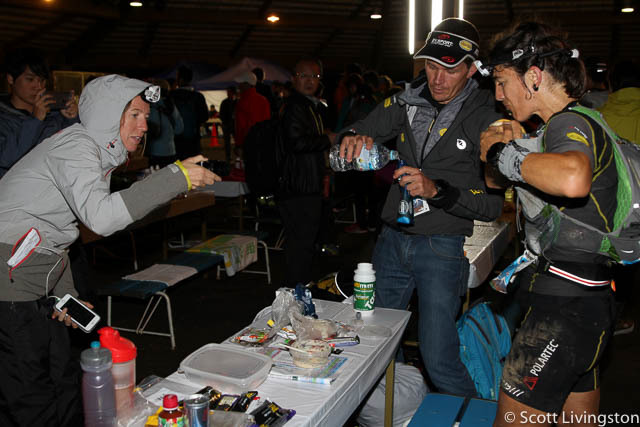 There are no pacers permitted at UTMF and runners are only allowed one supporter in the aid stations. Like I said, the rules are strict. Even the supporter is issued a number and must wear it at all times. The 12 aid stations (10 full and two water only) were locked down tightly. Supporters were permitted at nine of them. Additional supporters, family members, and spectators had to remain outside the aid station. When I say locked down, I mean fenced off, taped off, and separated. There were large tents or pavilions at all of the aid stations, so you had a roof over your head, which was helpful because of all the rain. 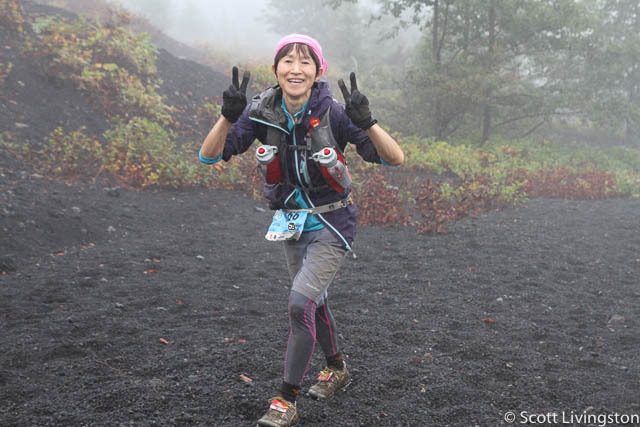 UTMF has a certain ethic and it starts with the race being a solo endeavor. It’s seems like runners are dissuaded from having crew. The rules minimize the amount of people in the traveling caravan, which is actually a good thing. No pacers meant there were fewer people on the fragile trails. 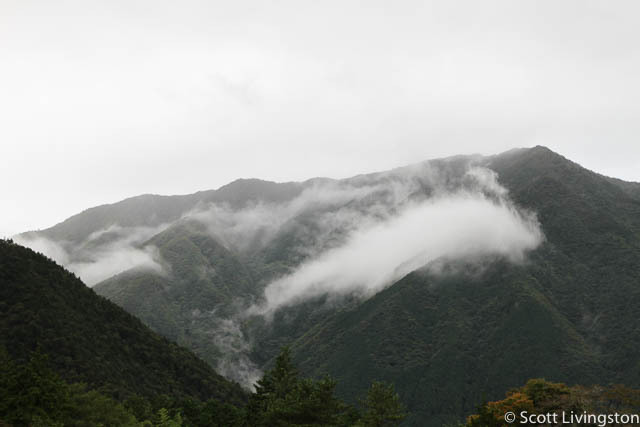 UTMF has an environmental focus through its respect for nature. There were no trash cans. Runners and supporters were required to carry in what they carried out. Littering is a serious offense. It has been a wet year in Japan, and particularly in this area. Nearly 20 typhoons have impacted the country and they had soaking rains throughout the summer. We noticed that the trail maintenance isn’t at the same level as what we are used to in the USA, and several of the trails had sharp gullies down the middle. When there were water bars, they didn’t work very well. The consistency of the soil, and the lack of roots and rocks, contributed to the muddy conditions. Still, when you have that much rain on already waterlogged trails, you risk additional damage. 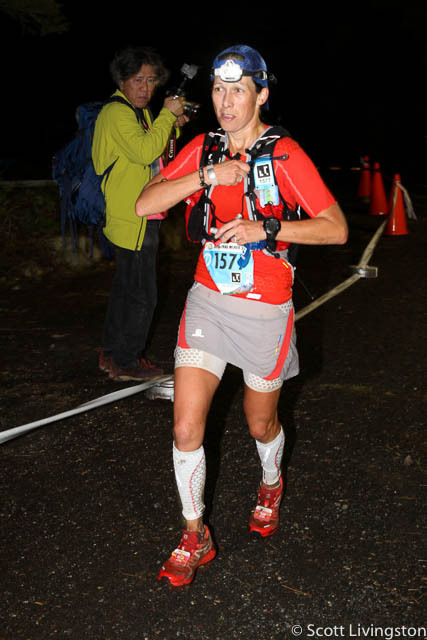 1,363 UTMF runners, plus the additional 976 runners on the 80.5 km STY (Shizuoka to Yamanashi) short race run on part of the course is a lot of impact. The organizers did the best they could with the situation and even took the extra measure to reroute two significant areas of the course. That was bad news for Debbie because it removed some of the higher mountain climbing sections on single track and replaced it with lower traverses and a lot more road. It seems like the detours added quite a bit of distance to the course. The race is advertised as 168.6 km (105 miles), it ran like it was 200 km (124 miles), and it very well may have actually been 180 kilometers (112 miles). Some people used two GPS’ to get the complete course measured, because one doesn’t have the battery life to go the distance, and most measured the distance as much more than the 105 planned miles. The race already uses a lot of road to connect to the various trails, so this made her life miserable at certain times over the two days. Debbie hates roads. This race is a big production, with 1,000 volunteers. 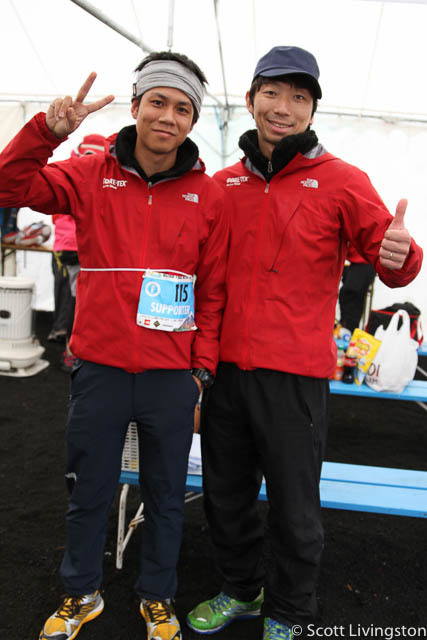 Everyone was wearing a North Face (the main sponsor) UTMF jacket and there was an order to the organization throughout the race, as there is in much of Japanese society. Everything was visual (just like a Japanese factory) with signage everywhere and reminders about all of those rules, and like the trains, everything runs on time. The one thing that was slow, was the runners, and that was partially because of all the mud. The race started in a light rain. There were no views of Fuji at any time during the race. The runners charged out of the park to the cheering of hundreds of spectators. Supporters were not allowed at the first two aid stations, which prevented traffic jams, but meant that the runners had 46.5 km before seeing their supporters. That’s a long way. For Debbie, that was nearly six hours. That gave me time to return to the hotel, go to the grocery store, get some potatoes boiled in the hotel kitchen, and drive to W1 at Fumoto, which was one of the two water only aid stations. 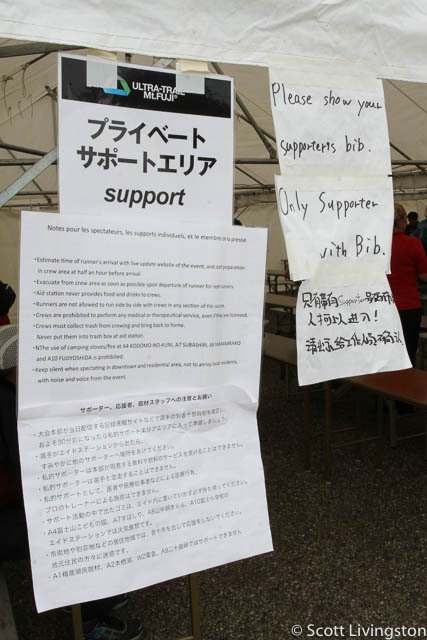 Supporters could provide food, but there was no neutral food. I got there in plenty of time and just as it was getting dark around 5:00 P.M. I enjoyed watching the top men and women arrive. There was a lot of action and I captured much of it with my cameras. Debbie arrived and we discovered our first mistake of the day. We left all of her race food on the floor of the hotel room. I had her backpack and the large drop bag we were using to hold her aid station stuff, but the bags of food were left behind. She was frustrated, but I told her I would drive the 45 minutes back to the hotel to get it. I hadn’t planned to reverse direction, but was forced to. Thankfully I had done some shopping and picked up a few items that she was able to take with her, but she was headed into the most difficult section of the course at night and our preparation wasn’t the best. This goes to show that despite all the experience, you can still blow it on race day. It also goes to show that the results of 100-milers aren’t determined in one instance. You have time to recover and go to Plan B. She departed and I packed up and returned to Kawaguchiko. Driving was a challenge. I’m experienced at left side of the road driving from prior travel, but the rain, darkness, and narrow roads added a mix of challenges to this adventure. Throughout the race, Debbie filled her Ultraspire Titan hydration pack with the provided water, and I carried most of her food. The Ultraspire team were kind enough to shorten the straps on her pack. She did also eat from the aid stations, but there weren’t too many vegan options. 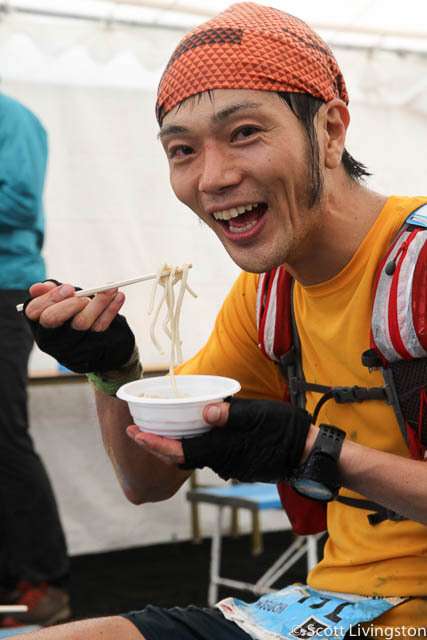 This year, the race was run counter-clockwise, which meant that they had to traverse the Tenshi Mountains in the first half of the race, which had the most challenging terrain on the course. The trails were super steep and extra muddy. Debbie said the descents were nearly impossible to go down without falling. From the looks of the runners, many covered head to toe in mud, they spent a lot of time on the ground. There were a handful of serious injuries, including at least one broken shoulder. After returning to the hotel I had to go back out and look for A3 near Fujinomiya. I had a very hard time. It was raining hard and very dark. The GPS coordinates should have worked with Google Maps, but with all the chaos, and the Japanese characters, I ended up in the center of Fujinomiya, without the aid station anywhere to be found. I was way off. Both Debbie and I came to realize that this race course was far less rural and far more urban than either of us expected. There were long sections of trail, but they were all linked by sections of towns and cities that were very busy. This differs quite a bit from the USA race we have done where the courses are in the middle of nowhere. 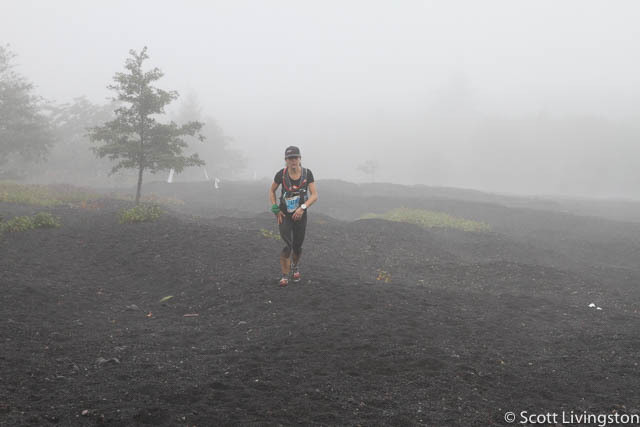 UTMF was quite different, and it is one thing that we didn’t like. 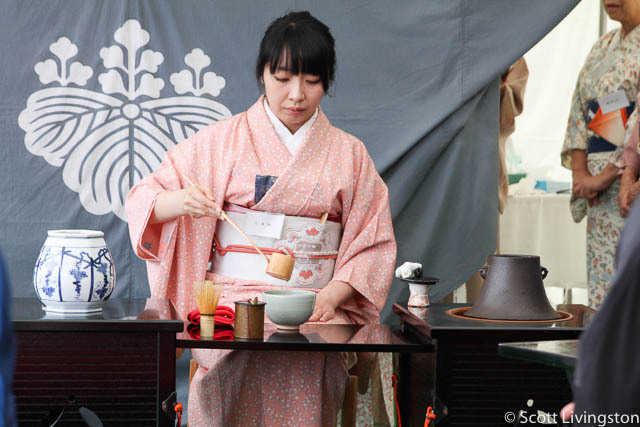 The photos on the website give you the impression that this is a remote beautiful course, but we have also come to learn that with 130 million people in Japan and 30 times (yes!) the number of people per square/mile compared to the USA, that this is a highly dense population. On this course, you were never far from the lights, noise, and hustle and bustle of town. It almost seemed that the folks in town didn’t know the race was going on. They seemed to be going about their normal business. It turns out that I was searching the wrong location on Google Maps. Thankfully, I found the UTMF website on my phone and found a page with better coordinates for each aid station, but that wasn’t until after using the old school method (paper maps and instincts), I found W2 Awakura, which was a water only stop up the mountain that supporters were not allowed to visit. It was dark and pouring, but a volunteer helped me input the correct coordinates into the car’s GPS, but it really wasn’t much help because all of the verbal cues and text were in Japanese. The map helped a little, but I went back to using Google Maps on my iPhone. 25 minutes later, I arrived at A3. The parking area was about three kilometers from the station. That required riding a shuttle bus and then walking a kilometer or so through wet fields. The station was full of activity when I arrived since it was the first place supporters and spectators could see the runners. 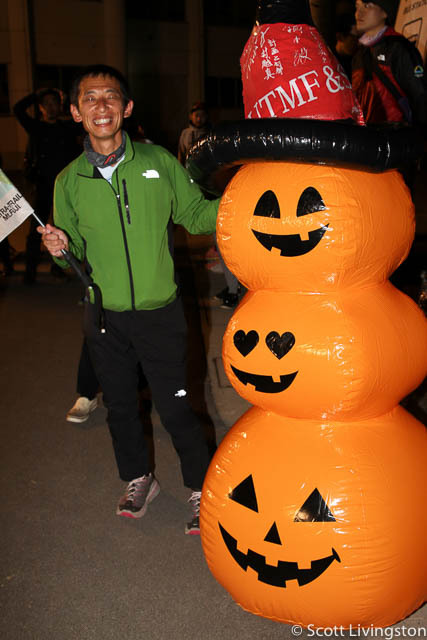 It was midnight and the runners were coming off of the Tenshi Mountains section of the course. Many looked grim and most were about an hour behind schedule, and had been out of water for a long time. I missed the lead men, but I saw Gary and this is where he took a mid-race nap. I was there long enough to see him go to sleep and then wake up and hit the trail again. Then, I saw Aliza come through. Then I waited. When Debbie arrived, she was hurting. She said the top of her foot was in pain, so we loosened her shoes. She also took a Tylenol, but she gagged on it, which triggered some vomiting. Her stomach was a bit sour, but she wasn’t nauseous. The vomiting was alarming, especially so early in the race, but she overcame it. We got her pack restocked and she went back on the trail. She said the mud was very slippery and that the footing was terrible. As I mentioned, there was no support at W2, so I had to find A4 Kodomo-No-Kuni. It was really late by the time I walked to the shuttle and got back to the car. I headed for A4, but got terribly lost. The fog was as bad as any I’ve driven in, and I could barely see 30 meters in front of the car. I couldn’t find the fog lights and the last thing you wanted to do was use your bright lights. I didn’t realize I had driven past the turn for the aid station and was on this winding road when I drifted on to the left shoulder. The next think I knew, the wheel jerked out of my hand after I hit what I thought was a very large hole. I pulled the wheel right and immediately heard the hissing sound of a blown tire. I slowed the car and tried to get as far left as I could. I got out in the rain to inspect the damage and was devastated to see the damage. The left front tire was blown out and the rim was dented badly. I walked back to see what I hit. 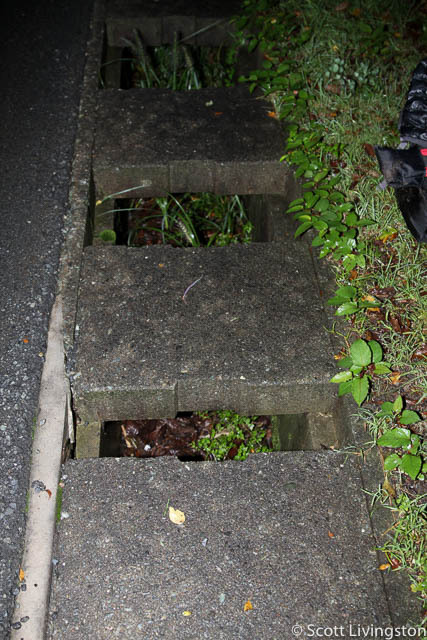 The left side of the road was lined with concrete drains, and they had no grates and they were more than two feet deep. I was fortunate that the only damage was to one wheel. Even still, I was stuck. The idea that I had an accident while crewing such an important race for Debbie weighed heavily on me. I was on a very winding road in the pitch black. I turned on my hazards and inspected the contents of the trunk. I pulled out the jack, crow bar, and safety triangle. I set the triangle up 50 meters behind the car, but was still very nervous about the passing trucks. For such a rural road, it was very busy at 3:00 A.M. on a Saturday morning. I gathered my wits and made a plan. If I could change the tire, I could still try to get to A4. If I was delayed, I could just go to A5 Mt. Fuji Museum. I jacked up the car assuming there was a spare tire. I wasn’t sure if it was under the mat in the trunk or if I had to lower it from the undercarriage as I’ve done in the past. Another lesson we learned is that you can’t have too many headlamps and lights and that you need to have better headlamps and lights. Debbie’s older Black Diamond headlamp was not strong, so at A3, I gave her mine. Her handheld was also acting up, so I gave her my good Surefire. I pulled up the matting in the trunk and there was a kit, but no tire. The kit contained a bottle of sealant and a small air compressor that you could plug in to the 12 volt port. I couldn’t believe that there was no spare and that this sealant kit was all I had. I have used sealant on tires many times, but on bicycle tires. 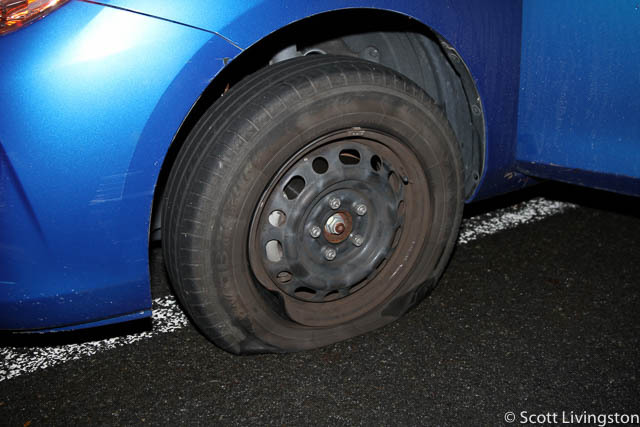 I had never sealed a car tire, especially on a Japanese mountain road, in the rain, with a dying light, a dying iPhone battery, a dying car battery, and a bent rim. I knew it wouldn’t work. The rim was just going to leak out the sealant. All I had was her lousy handheld light, and refusing to believe that there was no spare, I stuck my head under the car to see if there was a tire. There was no tire. Even an emergency “donut” wheel would do. I just needed to get that little Mazda off that road. I didn’t want to alarm Debbie just yet, so I started to make a series of phone calls. At A3, I had seen our friend Nancy Reynolds (from Buffalo and now Hong Kong), who was supporting her husband Rod. I thought she might be able to get word to one of the organizers that I needed help in getting a tow truck. I made that call at 4:06 A.M. She didn’t answer, so I left a voicemail. The mobile reception wasn’t good. I pulled out my American Express card and made a series of calls using the international number on the back. I ended up getting transferred to a dispatcher in the USA for roadside assistance, which is not what I wanted. He agreed that I had the wrong person and helped transfer me to an international hotline. It was amazing. I was able to use the maps to figure out where I was with their help. I called out landmarks despite the Japanese, and they were able to pinpoint me using Google Maps. We discussed the situation and they said they couldn’t help until after I got the car towed. He reminded me that I should call the rental car company. I explained that it was very early on a Saturday, but his suggestion made sense. I figured I could deal with AMEX after the situation was resolved and when we had to figure out who was going to cover the damages. I rummaged through all the stuff we had in the car and found the rental agreement and a number. I called the number at Times Rental, a large Asian region company, and got a Japanese only speaker. However, they were able to connect me to a contract translator that supports their offices in Japan. The three of us were on the phone together. We went through the same drill with him helping me pinpoint my location on a map. I was a little past the halfway point on route 469, a road between Fujiyoshida and Gotemba City. We were on the phone for quite sometime. He was relaying information to the local representative. They located a towing service and I had to take their word that someone would be coming. The English speaker stressed that I was not going to be able to get a ride with the tow truck driver and needed to arrange my own transportation. I figured I could walk until I could hitch a ride. They said it would be an hour or so. I hung up and started pulling together the gear that was strewn all over the car. I had my backpack, Deb’s backpack, and two drop bags. It was a lot of stuff. I must have been in disbelief, so I checked the trunk for a spare at least five more times, thinking that maybe in my late night delirium, I missed the obvious. I pulled out the car manual and it was only in Japanese. I was still able to make out from the pictures that for this model, sealant was the only solution. I learned a valuable lesson about rental cars. I’ll never rent one in a without a spare tire. I’m going to ensure that I touch the tire, jack, and crow bar, before driving off the rental lot. I finally tried calling Debbie at 5:29 A.M. I got her voicemail and left a message with vague information about the incident. I told her I was going to miss her at A4, but try to get back on track to see her at A5. I implored her to eat and drink and be strong, but it seemed she wasn’t getting the messages. More and more traffic was coming by me, though mostly large trucks. I had driven by several factories in town and this road, despite being so rural, was a main thoroughfare. Eventually more cars started to come by and I assumed they were other supporters. I was tempted to flag one down, but I decided that it may not have improved the situation. I had to stay with the car until it was towed anyway. A few minutes later, a car pulled up behind me and a familiar face stepped out. It was Rob Krar, and he was joined by his two Japanese hosts/drivers, Kohei and Yuri. Rob was supposed to run the race, but instead, was doing double-duty by supporting his wife, Christina Bauer, and helping cover the race for www.iRunFar.com. He assessed the situation, I explained what happened and we made a plan. He wisely suggested that I pack a drop bag for Debbie and send it with him to A5. That’s when I realized that I had actually driven past A4. I told her I called Debbie, but got her voicemail, and that I would also send a text. I told Rob that if he had to leave before she arrived, to put the bag with the other drop bags. He asked what I was going to do after the tow truck arrived. I told him I would flag down another car and ask for a ride. 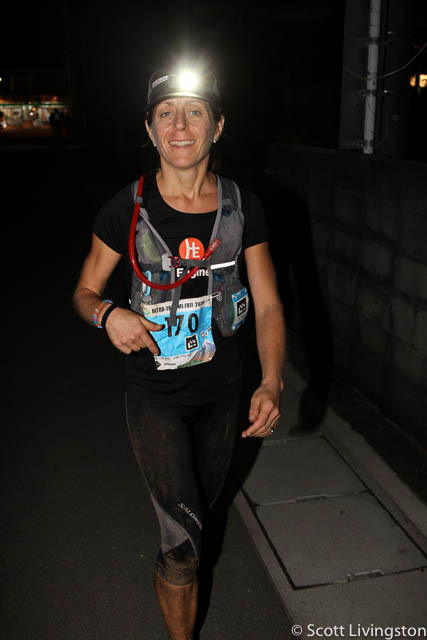 It is also worth noting that at W1 when we discovered that Debbie’s race food was not in the bag I was carrying, Rob stepped up and offered a bunch of extra gels to Debbie, which she took for the long trek through the Tenshi Mountains. He was a huge help to us. I thanked him and he and his friends went on their way. I sent the first text at 5:41 A.M. Thankfully she had her iPhone in a front pocket. She never got the voicemail, but she got the text rather quickly and replied back. I only said I was going to miss her and potentially be delayed at other aid stations. I reminded her to fuel up. My iPhone was dangerously low on battery, so I ran the car a bit to boost the charge, but I didn’t want to sit in it while it was running because the trucks were coming so close, so I was standing off the side of the road in the rain. At 6:06 A.M., I decided to try calling the rental company translator for an update. I hopped back in the car where my phone was charging, and realized that despite running the engine, the battery had died. I don’t know what happened, but the car had stalled and I couldn’t get the ignition to turn over again. I dialed the Times Rental Car number, but just then, I saw the lights of another car as it pulled up behind me, so I hung up. I went to see who it was and it was a young Japanese couple, Yamanaka and Toritani. They didn’t speak much English at all, but through a few shared words (mostly from the woman), I was able to discern that they were supporters and that their runner had dropped out at either A3 or A4 and they were headed somewhere, probably home. I was also able to figure out that they refused to leave me until the tow truck arrived and that they were thinking about taking me to the next aid station. There was a lot of talk between them. I plugged my phone in to their charger, which was a life saver. They searched Debbie’s bib number on the Japanese version of the live race tracker on their phone and we got her predicted arrival time at A5. Throughout the day, I relied on the website, so it was good that it was working accurately. I showed them what happened, showed them the trunk and the sealant kit. They stayed with me for quite some time. I packed up the jack and other tools and put it all away. I consolidated all of the gear and bags and got them ready to load in their car. Amazingly, as it was getting lighter, a truck approached from the other direction and as it zoomed by, the driver honked the horn and I read “Sato Wrecker” on the side of it. He was going to do a U-turn and come back. I was ecstatic. It felt like a longer amount of time, but it had only been three and a half hours since the blow out. My Japanese friends were just as happy and shared the joy with me. The driver pulled in front of the Mazda, hopped out, and introduced himself. With a big smile, he said, “I speak good English.” I think he had been waiting to try it out on a foreigner! He was in command of the situation, had been briefed by Times, and said he would tow the car to his shop and then arrange to get it back to the Times location at Mishima Station. He checked out the tire and wheel, agreed with me that it was ridiculous that there was no spare tire, and then basically said, “I’ll take care of it.” I filled out a form, gave him the keys, and said goodbye to my little car without a spare tire. I hopped in with my Japanese friends. They communicated that it would take a little while to get to A5. Just as we arrived at the aid station and parked in an extremely muddy field, Rob texted me at 6:24 A.M. and said that he was leaving A5. Christina had just come through and he was leaving the bag on a table in the supporter tent because there was no specific drop bag area. The white drop bags were huge and her number 170 was on it, so this was good. If I hadn’t gotten there in time, she would have spotted it. My two new friends were very nice. They were employees of the trading company that handles the North Face, Speedo, and several other fitness/outdoor brands in Japan. 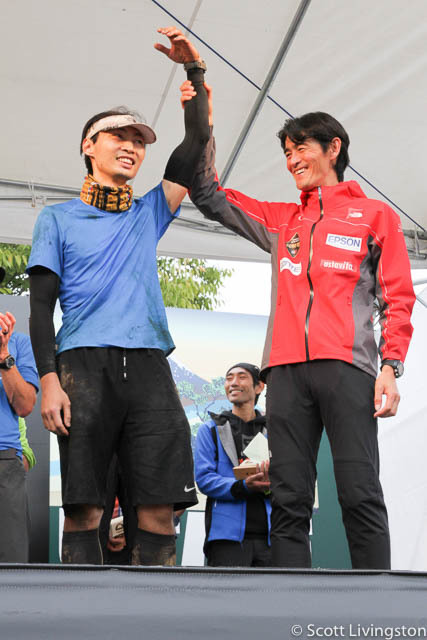 They were affiliated through the race organization since the North Face was the principal sponsor of UTMF. They were supporting a Brazilian runner by the name of Marcello, who I also think was affiliated with the North Face. I mostly understood what they were saying in English and they were very helpful. Several times, they searched a word on the Internet to get the right definition. We actually enjoyed each others company and spent many hours together. My hope was that their runner would stay close enough to Debbie throughout the day and that I could tag along all the way to the finish. That would have been the perfect scenario. They knew several other runners and supporters and were cheering for them too. A6 was part of the way up Fuji and it was a big climb. When we got there, it was still very foggy, but it was light out. It was alternating between a heavy mist and light rain. The runners were starting to spread out and bigger gaps were forming. The climb in to the aid station was up a former lava flow. The black sand and rocks extended all the way from the base up to the summit cone. 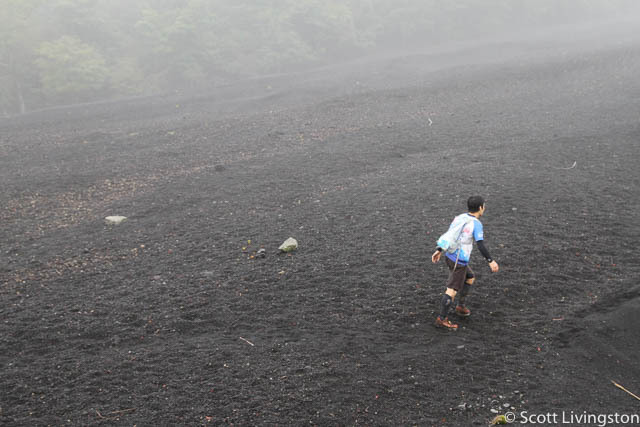 We were well down the mountain, but I recall reading about this “trail” in our Fuji guide-book. 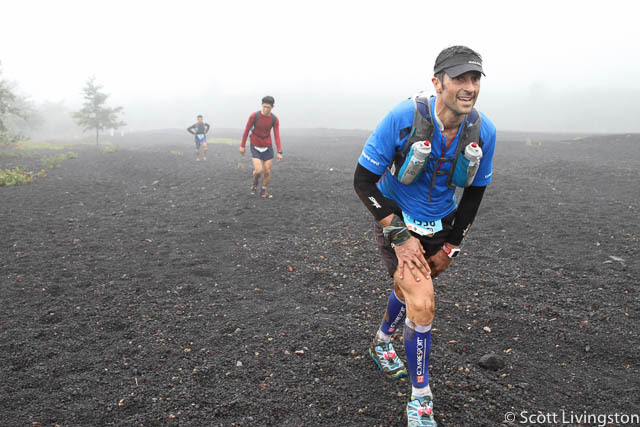 These were tough conditions for an ultra and now the organizers had the runners walking on lava rocks. Thankfully, the temperature was mild. It had actually warmed up overnight and it was just very wet. I ran into Rob again. He had driven ahead to cover the men’s leaders, but returned to see Christina. She trudged up the hill. 25-30 minutes later, Debbie arrived in good spirits. She was moving well, was warm, and fueled properly. The top of the climb was at the other end of a huge parking lot. I told her I would meet her at the station after she filled her pack. I always carry my own stuff, but the UTMF rules are strict. I asked one of the aid station attendants to fill a water bottle for Debbie and they refused. There were no trash bins at the aid stations. Runners and supporters had to carry out their own trash. This is a pretty good rule and makes things neater. Debbie was fortunate to have me at the aid stations so she could drop off all of her used packets of gel, energy bars, and other packaging, but that might have been a pain for an unsupported runner to carry all of their trash over the course of two days. Again, not a big issue, but an example of another rule we had to follow. 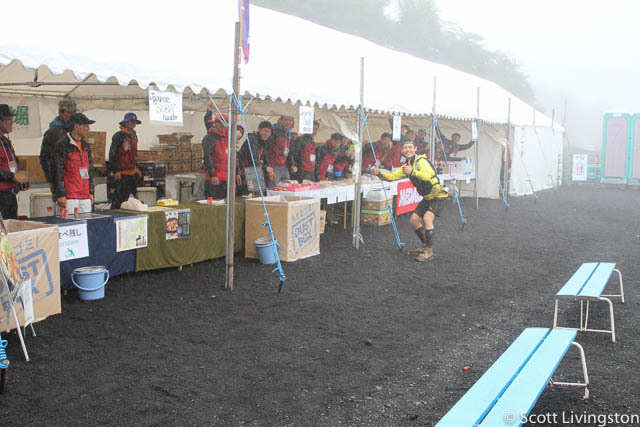 Only the runner can access the resources at the aid stations. The rules also state that you cannot run/walk alongside your runner at any point on the course. I didn’t want to do anything to risk her disqualification, so I stayed far away. She didn’t stay long. I explained that I would do my best to get to the upcoming aid stations, but that she should refuel as if I wasn’t going to see her again. As predicted, the Brazilian was still about 30 minutes behind. While waiting, I checked Instagram and saw that I had a direct message from halunski, the friend who inspired me to research UTMF. He told me his runner was 466. I plugged it in to the tracker and amazingly, Katou Youku was a 50+ runner and she was within 10 minutes of Debbie. halunski was at A6 while I was there, but I just hadn’t recognized him. After we packed up, we drove to A7 Subashiri. I walked in to the supporter area, glanced around, and the first person I saw was a man with 466 pinned on his shorts. It was halunski! I knew that things were turning around. We exchanged greetings, took a selfie, and chatted. His English was pretty good. He is a representative for Arc’teryx, Suunto, and several outdoor brands. I knew from his Instagram feed that he was an accomplished trail runner and ski mountaineer. Youku was surging. She arrived at A7, and moments later, so did Debbie. Debbie was also moving well. Debbie decided not to stop at the supporter area. She had been in the neutral area for three minutes and decided to just leave the station with Youku. The longest Debbie spent resting the entire race was about 10 minutes. 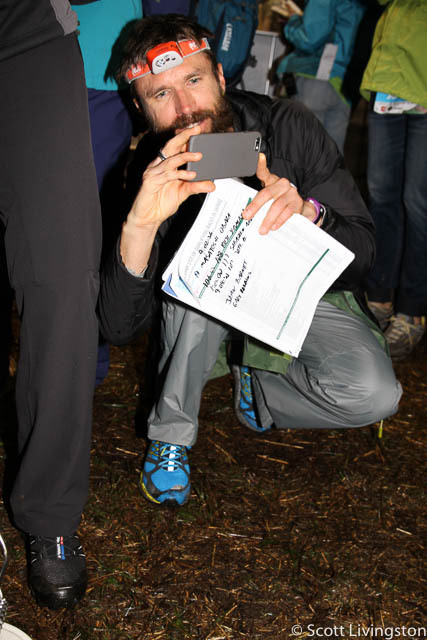 It was amazing that I’ve been liking halunski’s posts on Instagram for several years, that there were nearly 1,400 runners on the course, and that our runners were now separated by five seconds leaving A7. The sun was actually trying to peek out, and it seemed like it might be dry for the rest of the day, but then it started drizzling again. The Brazilian arrived on schedule, so it wasn’t long before we were packed up and headed for A8 Yamanakako. The location of this huge aid station was next to Lake Yamanakoko. It was in a large park. 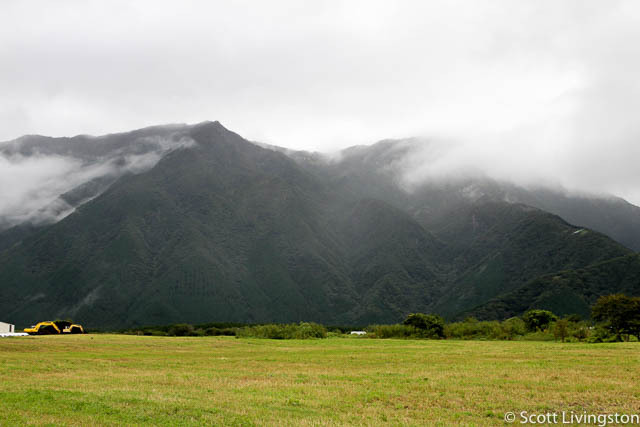 Fuji was still shrouded in clouds, but supposedly, the view of the mountain across that lake is one of the best. I was sorry to miss that. A8 was the site of a lot of drama. Late on Friday night, I had met an American woman at A3. I think her name was Christina and she was supporting her friend, Erich Wegscheider. 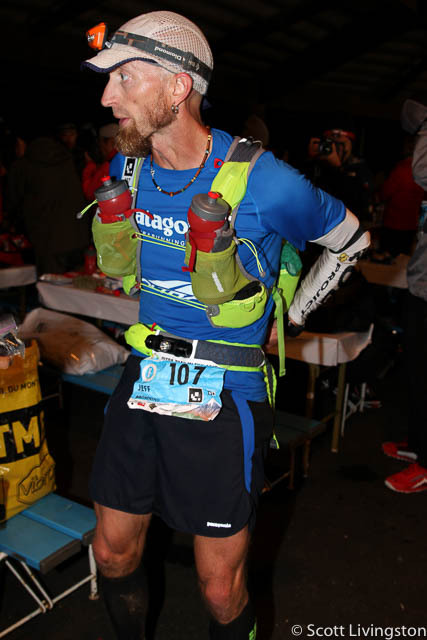 He was from San Jose, and recently converted from elite triathlon to ultrarunning. He was wasn’t that far in front of Debbie. It was fun to catch up with her at A8. My Japanese chauffeurs pointed out that there was a mandatory gear check set up at the runner entrance. This aid station was even more secure than the previous ones. You couldn’t get close to the neutral area. Volunteers were quick to warn you if you got too close. It was clear that they were intent on keeping runners from having any contact with their crew until after the inspection. I was chatting with Christina when Erich arrived. Seconds later, as we were watching the proceedings, we realized that they were disqualifying him. It was hard to see what was going on, but there were at least six race organizers around him including the aid station captain. Erich was very upset. The infraction was that his phone battery had died and he could no longer access his maps or use it in an emergency. This devastated me nearly as much as him, and I was only watching the situation unfold from afar. He pleaded with them, tried to argue his points, but they removed the chip tags from each of his shoes while he was standing there and still discussing it with them. He finally came over to the supporter area and explained what happened. I pulled my iPhone cable and a car charger out of my pocket and offered it to him. I said we could get it juiced up again. He was shocked. She was stunned. I also couldn’t believe what I just witnessed. 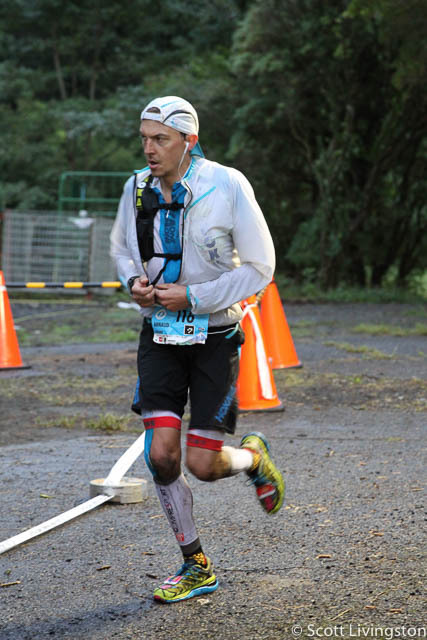 He was more than 135.5 km into this ultra, in no danger, moving well, but he broke the rules. They showed no mercy. He said that they wouldn’t let him do it. It was dead when he arrived and those were the rules. He was quite fed up with them, but also disappointed in himself for letting the battery die by leaving the phone on through the night. If he had turned it off, or at least turned off his cellular data connection and closed apps, he would have been OK. He decided to accept decision because he had no choice. That was the last I saw of them, but not the last DQ I witnessed. I was really worried about Debbie’s iPhone. It could easily be dead. She had replied to my texts after the car incident, but that was hours earlier. It doesn’t last the full day at home, but that is also when it is connected to the cellular network, which drains the battery, and she is using it a lot. I texted her several times warning her to turn off her phone if the battery was running low. She never saw these. I waited outside the aid station for her to arrive and she was in bad shape. She was crying, clearly at a low point, and frustrated with the long road section detour that she was just coming from. Thankfully, when she arrived, she still had a solid charge. She passed inspection and I was thrilled, but she was not feeling well. She complained that her legs were very sore from all of the pounding. I started to massage her quads and a woman came over and told me that they offered massage. Another rule is that supporters can’t provide any “therapeutic assistance.” Well, Debbie was fine with that and after eating a little, went over to the massage table. She said the therapist was very good. She was there almost 10 minutes and said she felt better when she got off the table. She grabbed her pack, and ran off in better spirits, than when she arrived. I packed up the aid station gear and then I watched three more runners get disqualified over the next 30 minutes. They all happened to be foreigners, which made it seem like that was a factor, but it may have just been a coincidence. The Japanese runners likely knew that the rules were strict and they followed them to the “letter of the law.” The runners were told that there would be an inspection on the course, but it was still catching these guys by surprise. The pre-race inspection the day before seemed loose compared to this. Not only did the rules require a specific list of gear, but they stated that your pack had to meet a minimum weight requirement. They did not weigh packs at pre-race inspection, but they were weighing them at AS8. Another English-speaking runner (may have been Australian) was DQ’d because his phone died. Then, the Brazilian runner arrived. They had him pull all his gear out of his pack. He didn’t have his rain jacket or his rain pants. He had made the critical mistake of leaving them with his supporters, the guys who were so kind to drive me. This resulted in an instant disqualification. He was distraught. It was a terrible mistake, but I wouldn’t call it “cheating.” Most every other ultra I’ve been to, you can leave gear with your crew. 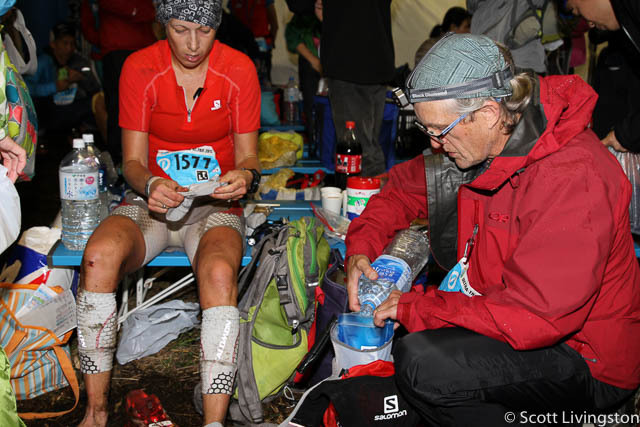 However, UTMF has leveled the playing field and forced runners to be self-sufficient. I was told that in Japan, a rule is a rule. This is where my ride sharing ended. Even the pleas of the Japanese supporters from afar, failed to get this guy back in the race. They had already removed his shoe tags. He sat for 20 minutes with his head hung low. It was tough to watch. It was evident that he had put a lot into preparing for the race, was having a good day on the trails, and wanted to finish. Stunned is putting it mildly. As we were consoling him, a Chinese runner arrived. I couldn’t quite hear what was going on, but he too was caught by surprise and was missing part of his gear. I could hear him claiming that whatever gear they were asking for, he lost it at night in the dark on the course, which is plausible. Debbie told me that at one point, she fell so hard descending in the Tenshi Mountain section, that her headlamp flew off. She said she could have easily lost her handheld do, but had kept it in her pack int that section because she was afraid to lose it in the thick brush. 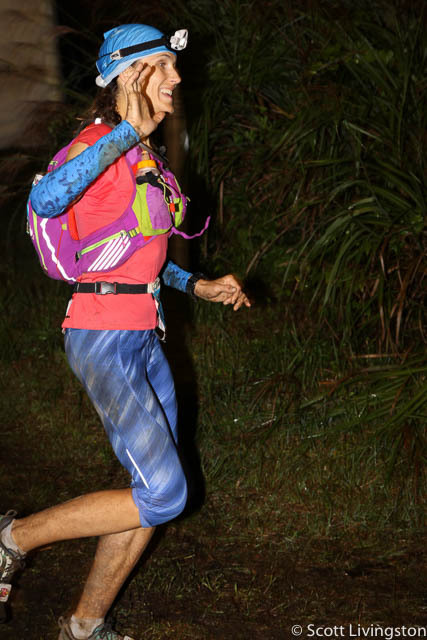 A runner descending behind her saw her headlamp and picked it up for her. So, losing gear is a real possibility. Anything could fall out of your pack in the darkness. 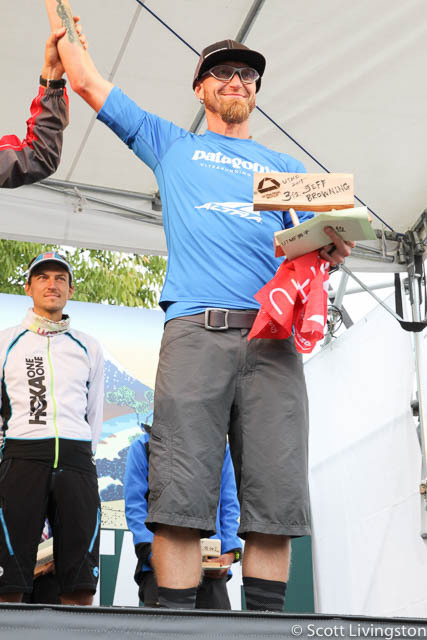 They brought the aid station captain over for this situation to get his opinion, and the ruling was disqualification. The runner was more mad than the other three and wouldn’t accept the decision. He got loud and a belligerent, so several people surrounded him. I went around the back side of the aid station to get a better look. I wasn’t happy that a race videographer, was filming this whole episode from all angles. The cameraman put the camera right up into the runner’s face. I thought it was very demeaning, but he was nonplussed. He continued to argue his case. They forcefully removed his tags from his shoes. I couldn’t believe that this was the same ultra community that I love. It seemed counter to the good will being spread around. It was inconsistent, but again, the rules are the rules. As for the Brazilian, my drivers were taking him straight back to his hotel, so they unloaded my stuff from the back of their car, and I was on my own again. 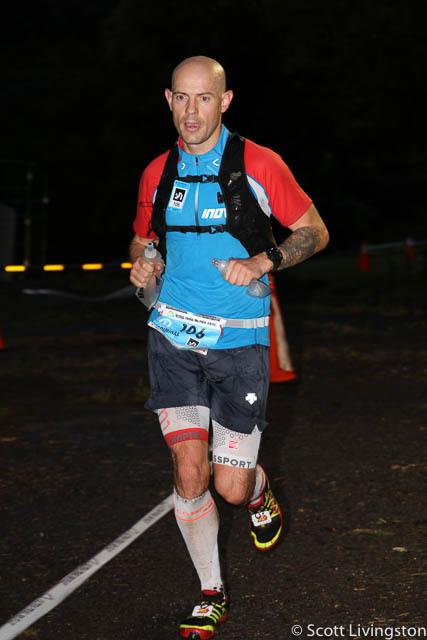 I walked around looking for anyone that was either going to AS10 Fujiyoshida at the 156.7 km mark, or back to the finish in Kawaguchiko. It was going to be at least three hours for Debbie to reach AS10. AS9 was off-limits to crew, so I had time to arrange a ride, but I was impatient. I went back to the tent and found the woman who informed me about the “no therapy” rules. She had a badge on that said she spoke both English and French. I chose English. She was quite helpful and sympathetic to my situation. I showed her pictures of the flat tire, but she said my best bet was to get a taxi back to the hotel. She said she would arrange it. I really wanted to continue following Debbie and get to that last aid station, but it wasn’t going to work out. She helped me carry the bag down to the entrance to the park and the taxi was there waiting. It cost me $75 and I fell asleep on the 30 minute ride. I had a whole mini-bus to myself. I arrived at the hotel, brought the gear to the room, ate some food, drank a beer, and washed up. I did some writing, downloaded photos, and waited. Then, I got a text from Nancy. She and Rod were checking up on Debbie and wanted to know if I had an estimate on her finish time. They wanted to go and cheer her at the finish. I explained the situation and said it would likely be between 8:00 and 9:00 P.M.
She replied back quickly and said they wanted to take me to AS10 and that I had to say, “yes.” I told them I was just twiddling my thumbs and would accept the generous offer. I got my energy back, packed the gear bags again, and they picked me up in 10 minutes. It was dark again. We found AS10, which was in an urban location in the center of Fujiyoshida about 20 minutes from Kawaguchiko. We ran into Rob again. I set up Debbie’s stuff and moments later, Christina arrived. Debbie wasn’t far behind. She arrived while Christina was resting in the supporter area. 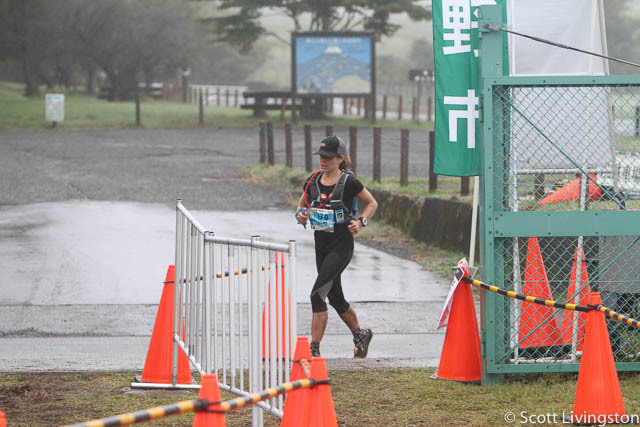 Debbie was on a mission to finish, but it was still a long 11.9 km to Kawaguchiko over some tough mountains. Aliza and others warned us that this section would take a lot longer than expected, and with the wet trails and darkness, that was true. I replied, “Of course.” And that was that. Rod and Nancy dropped me off at the hotel. I went back to the room, dropped the excess gear, consolidated my pack, and then went to the Indian restaurant. I ate there and got Debbie’s meal to go. Then, I walked the three kilometers to the finish line. I got there just before 8:00 P.M. and watched several runners finish. There was an announcer and they were doing finish line interviews. It was a good vibe with music blaring. I took photos and video. Debbie turned the final corner at 9:15 P.M. and crossed the line in 32 hours 15 minutes, and 42 seconds. She was the 16th woman and 101st overall, but there is story to that too. The posted results show her 15th and 100th. More on this to come. She was in good shape when she crossed the line. Her celebration was simple compared to some of the Japanese men. It was genuinely amusing and touching to see those guys finish. There approach is very ceremonial, which is . 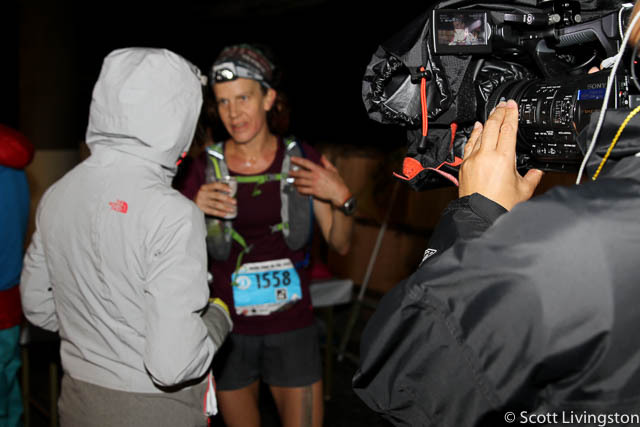 She was greeted by Tsuyoshi Kaburaki, the Race Director, and had a few words with him. Her stomach was fine. She was exhausted, but she sat right down, removed her shoes, and ate the Indian food. Rod and Nancy arrived after their dinner to greet her. Christina finished 12 minutes later. Debbie didn’t realize she had passed her. It was nice that they were close. Both of them had long days. We awoke on Sunday morning and I don’t think I moved an inch all night. She was sore, but felt good. After breakfast, we walked to the finish line for the awards ceremony and to watch the final finishers come in. 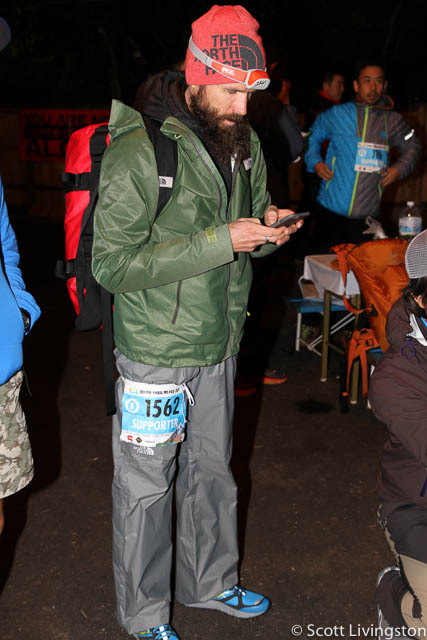 The runners that are out two nights and finish near the cutoff time (in this case, 46 hours) always amaze me. That is a long time to be awake and on your feet. We cheered several in as we walked along the lake. At the finish line, we saw several friends, connected with Aliza, Gary, Jeff Browning (who finished third with a huge surge in the last 50 km), and others. The ceremony started promptly at 10:00 A.M.
Meghan Hicks from iRunFar, invited me to join her in the fenced off press pit at the front of the stage. I had a great spot to take photos. They did the STY awards first. 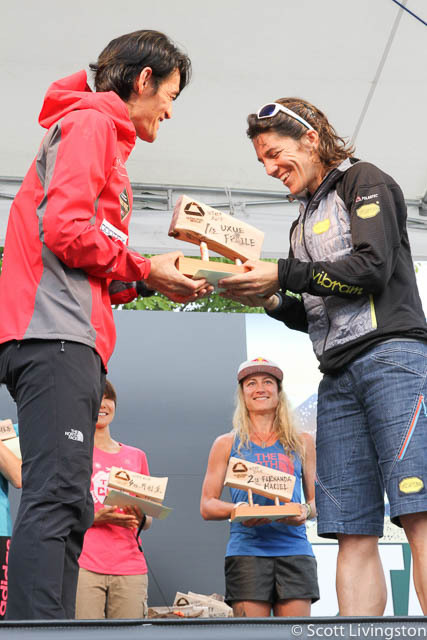 Then they did the UTMF awards and started with the masters categories. When they announced women’s “Experts” 40-49, they called Debbie’s name. The ceremony was a mix of Japanese and English and wasn’t easy to follow. I was thinking, wow, that’s a nice surprise. We thought she missed third place by one spot. It took a few minutes for her to get to the stage because she was as surprised as me. When she got up on the stage, she looked confused. Meghan remarked that she looked like a “lost puppy.” They positioned her and then called up the age group winner, Kiyomi Kuroda. The second place woman wasn’t there. Then they presented Debbie with her trophy. It was backwards and she looked confused. I yelled out for her to turn it around, but she didn’t. I didn’t know what was going on, but she was figuring it out as it was happening. They awarded first place, brought in the race organizers for more photos, and then brought in the men’s 40-49 age group winners for a joint photo. Then, she was ushered off the stage without her trophy. I didn’t see what happened next, but learned after the ceremony what happened. Fellow American, Amy Sproston, was third in the age group. I don’t know all the details of her infraction, but it had something to do with receiving aid inside the supporter area from more than one supporter. The claim was that the supporter for a runner who had dropped, had also provided support to Amy, and this was after he was warned. She told Debbie after the fact that she was never warned. Apparently, she learned about her penalty late on Saturday night after she finished. A time penalty was assessed, then, she was disqualified, and then she was reinstated with a time penalty. She doesn’t show up in the current published results, but the live tracker results show her. That trophy that was turned around said “Amy Sproston” on it. Each award winner’s name was written in calligraphy on a piece of wood, harvested from the fallen limbs of a 600 year old tree. I thought that was very cool. It must have been weird for Debbie to be staring at a trophy with someone else’s name on it and not knowing what was going on. After she came off the stage, she found Amy and they went back with the organizers to sort it out. Amy didn’t get the public recognition, but in the end, they gave third place in the age group back to her. In a nice gesture, Amy used the North Face gift certificate that they awarded her, at the race expo and “split” it with Debbie, giving her a tote back with the UTMF logo in appreciation for being a good sport about the results. It was confusing and amusing, but Debbie didn’t mind. It was fun to get a little recognition, but odd how it ended up. Amy was actually leading the race at W1. She had gone out really hard, but couldn’t hold her position and gave up ground throughout the day. Anyway, it was nice to meet her in person. 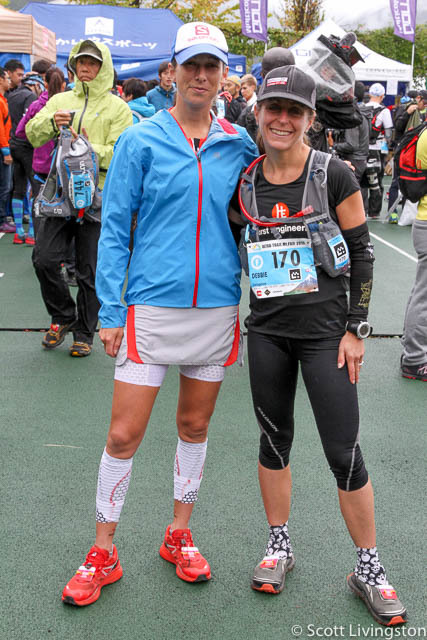 She has been a very strong runner for many years and now both she and Debbie have their Hardrock 100 qualifiers. Debbie was in the Hardrock lottery after Grindstone, but didn’t get picked and hasn’t had a qualifier since. She will throw her name in the lottery for 2016 and like with Western States, we will see what happens. 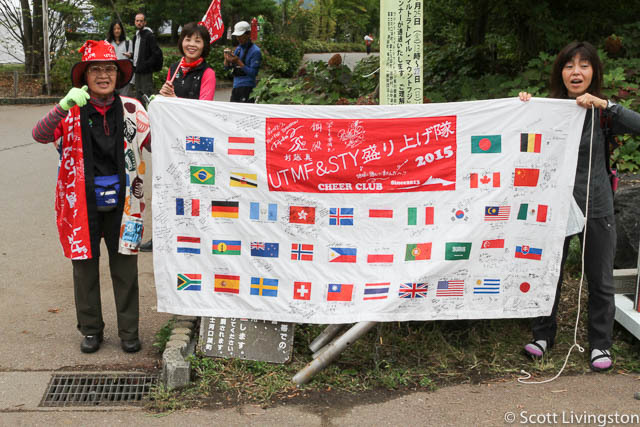 There were many fine and inspiring performances at UTMF. The attrition rate was high, but many runners persevered. 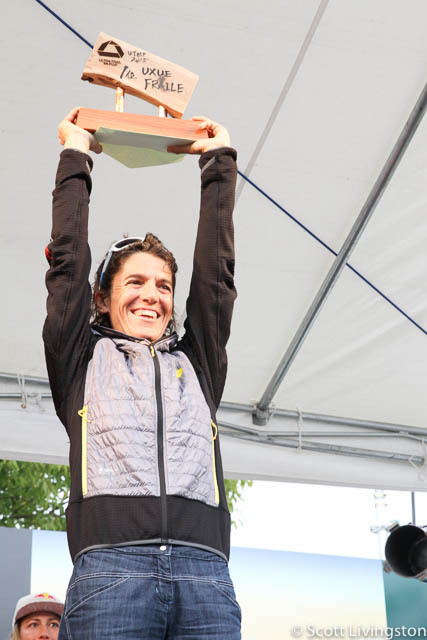 In the women’s race, Uxue Fraile took the win. Fernanda Maciel and Aliza Lapierre crossed the line together in second. 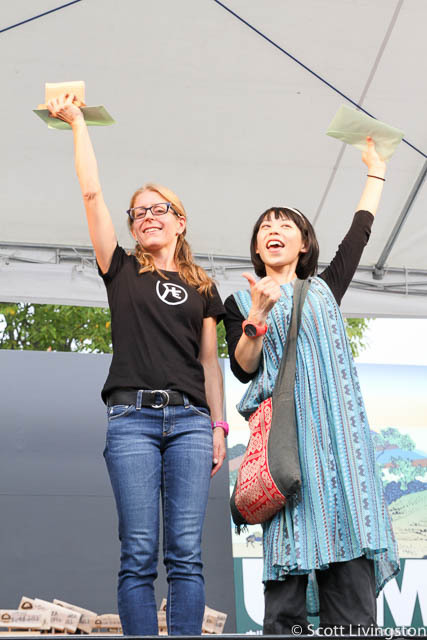 They were followed by Kaori Niwa and Yukako Takashima. On the men’s side, Gediminas Grinius took the win. He was followed by Arnaud Lejeune, Jeff Browning, Sondre Amdahl, and Masatoshi Obara. So many people were pulling for Debbie to finish. I was able to keep everyone updated via social media, which selfishly, gives me something to do, helps me pass the time, and feeds my desire to be a journalist for the day. I’m happy to share. Debbie inspires me more than anyone else. 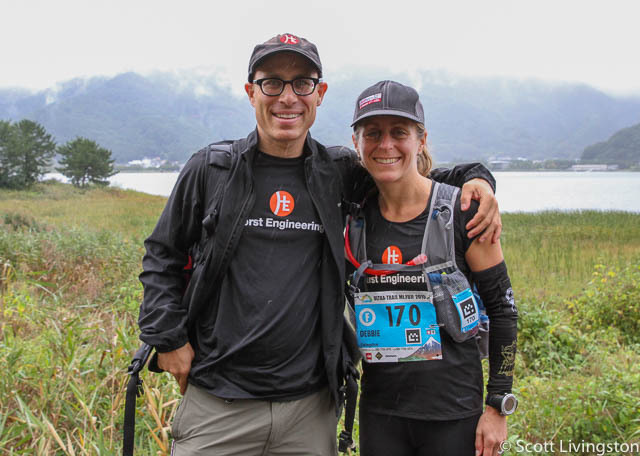 It will take some time for she and I to step back and reflect on UTMF. The course has its issues. The volunteers were abundant and generally awesome, but there were those handful of incidents that gave us pause. We realized that attempting a race like this in a foreign culture with limited support and no local guide is a stressful challenge. She pulled it off, which means, we pulled it off. We do most everything as a team, and that is the way it ought to be.